Hello Tuesday. Another weekend over so time for a recap! This weekend I was very lucky to have Jonathan come down for our 1 Year Anniversary and Valentines Day. The weekend was full of stuff to do and went by way too fast. 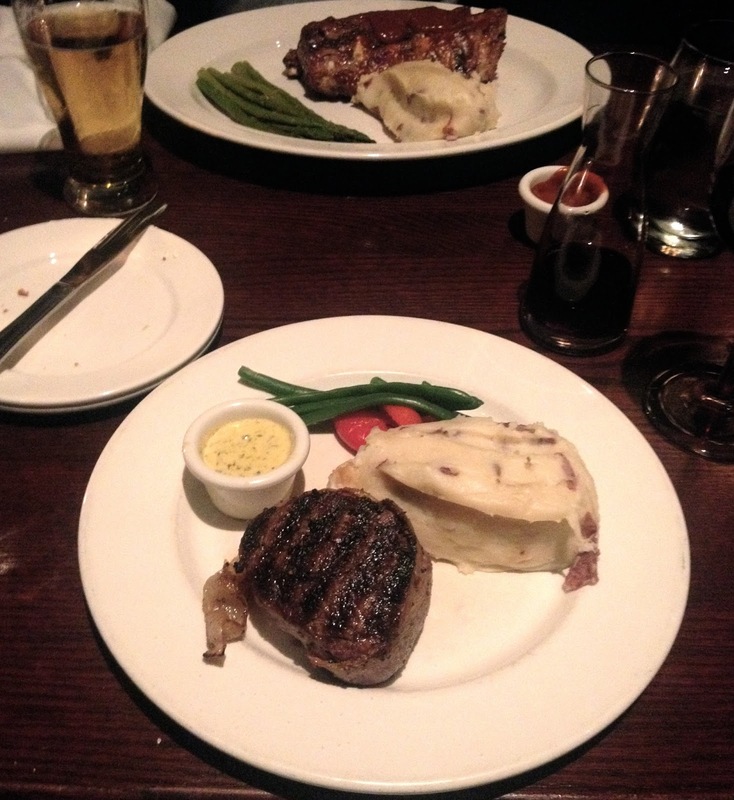 Friday night we had an amazing dinner at The Keg Mansion here in Toronto. The building is a beautiful historic mansion with amazing food. If you haven't been you must check it out! Unfortunately I did not get an outfit picture, but I wore burgundy heels with a cream lace patterned dress. I also did my hair and makeup very similar to the Valentines Day tutorial I have up on my blog as well! Blurry picture but he's cute! This was one of our only pictures taken this weekend, don't you hate when that happens?! Since our one year was before valentines day, we decided to keep V-Day low key! We started the day visiting friends of mine at this super cool cafe in Toronto! Boxcar Social has coffee, wine & whiskey. Perfect for anytime of the day. The setting is cool and laid back! I can't wait to check it out again. As the rest of the weekend went on it was freezing! I was basically living in my parka and layers. Unfortunately no outfit pictures due to the freezing cold. Going to the movies was the go-to for this weekend to keep warm! We saw The Most Dangerous Year & 50 Shades of Grey and safe to say both were great! As much hate 50 Shades is getting I seriously enjoyed it! I think everyone should see it at least once. Even if its just for Christian Grey. Hope you had a wonderful weekend! Its so hard getting back into the swing of things but thank god for reading week next week! More posts to come & Outfit posts this weekend!